"Only one very badly damaged house still stands amidst the huge piles of timber and rubble following an air raid on Queen's Road, Aston, Birmingham. 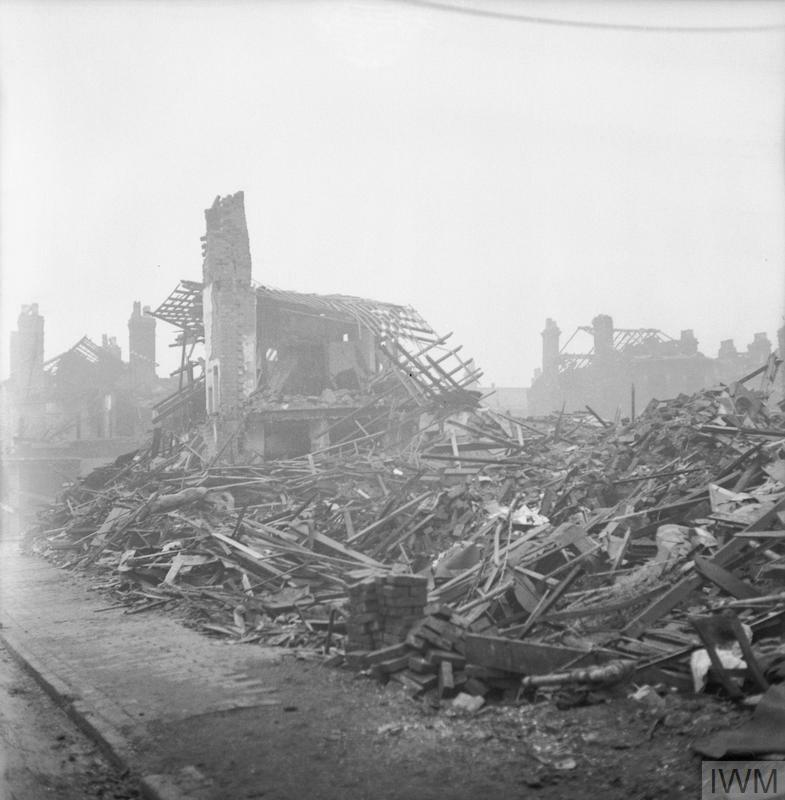 This site was damaged during the longest raid sustained by Birmingham, lasting 13 hours, which occurred on 11 December 1940. A few other houses can be seen in the background: all are without a roof." © IWM (D 4130). Battle of the Mediterranean: Outside Sidi Barrani - now in British hands on 11 December 1940 - the English Army goes to work reducing the remaining pockets of Italian troops. Selby Force attacks the 1st Libyan Division Sibelle and forces it to surrender. Their surrender uncovers the 4th Blackshirt Division 3 Gennaio, which also surrenders. The British bring 7th Armoured Brigade forward to relieve 4th Armoured Brigade near Buq Buq on the western sector of the front - 4th Armoured is being pulled out of the line and sent south after it completes its current operations. The Italians, meanwhile, are either surrendering or running. Italian 63rd Division Cirene abandons Rabia and Sofafi, and they run so fast - literally, in many cases - that British 4th Armoured Brigade is too late to cut them off. Retreating down the coast road, the Italians build up their position at Halfaya, the critical defensive position further west. Today the Italians have suffered 2184 killed, 2287 wounded and 38,000 taken prisoner. Usually such a high ratio of KIA to wounded suggests that a military force is fighting hard, but in essence all the Italians who weren't killed outright in the first British assault and could still walk have bugged out immediately to the West. Overall, 15,000 Italians have surrendered during Operation Compass - though the British aren't stopping to count. There are "5 acres of officers and 200 acres of other ranks," as put by a Coldstream Guards officer. The Royal Navy has large forces approaching from both the east and west, but, given the outcome of Operation Compass so far, their presence would be purely superfluous. Monitor Terror and two gunboats shell the retreating Italians in the Sollum area overnight, later joined by British battleships HMS Barham and Valiant. Royal Navy submarine HMS Truant damages Italian torpedo boat Alcione off the Libyan coast, but it escapes. The Royal Air Force has command of the air in North Africa - and during World War II this almost invariably is a tell as to who is winning. Flight Officer C.H. Dyson, flying a Hurricane in RAF No. 33 Squadron, has no difficulty with the biplanes the Italians are flying. He shoots down a record seven Italian fighters in one sortie before being shot down himself. He is uninjured, an ace-and-a-half (almost) in one day. Elsewhere, though, the news is not quite so good for the RAF, as two Swordfish of RAF No. 810 Squadron flying off HMS Ark Royal collide off Europa Point, with three deaths. 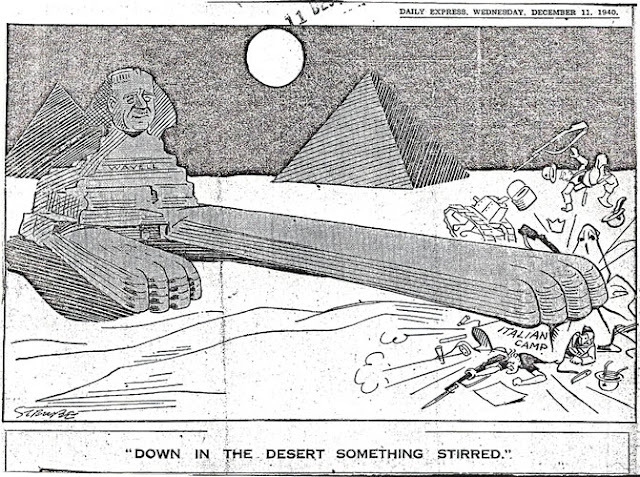 Fleet Street has great fun with the Italian collapse in Egypt. By Strube, The Daily Express, December 11, 1940. Italian/Greek Campaign: While the Greeks are still making progress in Albania, the weather is horrible and there aren't any towns to mark their progress. Greek Commander-in-chief Papagos knows that the real prize is Valona, the key Italian supply port, and without that, the Italian ability to strike back after it builds up reinforcements and supplies remains intact. Valona, however, remains well-defended by the Greeks, who, by and large, have occupied a lot of worthless mountain goat territory and only a few significant towns. The Greeks are approaching Himara on the left of the line. European Air Operations: The Luftwaffe sends a major effort against Birmingham after dark. Dropping 277 tons of high explosives and 685 incendiaries, 278 bombers destroy 6 churches, 11 schools and hundreds of homes. RAF Bomber Command concentrates on power stations and communications junctions in western Germany and the usual Channel ports. 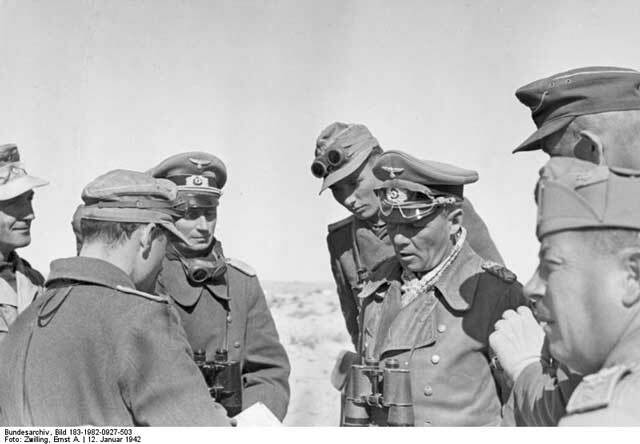 The main target is Mannheim, with 42 bombers attacking. Battle of the Atlantic: The other shoe drops in the Caribbean when 6049 ton German freighter Rhein, the second ship (with the Idarwald, already sunk) to make a break from Tampico, Mexico to Occupied France. Dutch warship Van Kinsbergen, alerted to the situation by US destroyers Simpson and MacLeish shadowing the Rhein as part of the Neutrality Patrol, intercepts the Rhein near the Dry Tortugas (off Key West). Just like the crew of the Idarwald, the Rhein's crew sets fire to the ship and attempts to scuttle it. 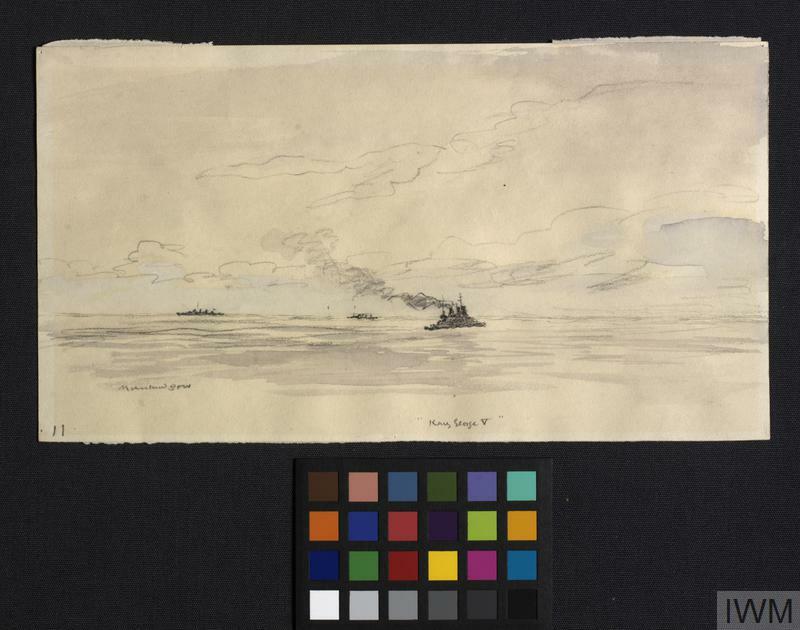 After taking the German crew prisoner, destroyer HMS Caradoc sinks the flaming wreck with gunfire as destroyers USS MacLeish and McCormick watch. The Rhein now is a popular dive wreck for experienced divers. Incidentally, Adolf Hitler mentions this sinking - along with that of the Idarwald - in his declaration of war upon the United States on 11 December 1941 - exactly one year from today. U-94 (Kptlt. Herbert Kuppisch), on its first patrol out of Kiel (heading for Lorient), torpedoes and sinks 5306 ton freighter Empire Statesman in the shipping lanes west of Ireland. All 32 on board perish in the frigid seas. The Empire Statesman is a straggler from Convoy SLS 56 due to engine issues - convoys don't slow down to help those who can't keep up. U-96 (Kplt. Heinrich Lehmann-Willenbrock), also on its first war patrol out of Kiel, stumbles upon scattered Convoy HX 92. First, at 15:12, it torpedoes and sinks 10,890 British passenger ship Rotorua, the ship carrying the convoy commodore (Rear Admiral J. U. P. Fitzgerald Rtd), who perishes. There are 23 deaths, but most of the passengers survive. U-96 picks up a couple of survivors and makes them prisoner. Royal Navy destroyer HMS Mashona later picks up the other 108 survivors. Next, U-96 torpedoes 5419 ton Dutch freighter Towa from the same Convoy HX 92. However, this ship takes its time sinking, so the U-boat puts a second torpedo into it at 21:30. Somehow, this also does not sink the freighter, so the U-boat surfaces and begins shelling it. This induces the 37 crewmen to abandon ship, and the freighter finally sinks at 22:42. There are only 19 survivors after one of the lifeboats capsizes in the rough seas. The Towa was carrying 7778 tons of grain and 48 trucks. U-96 also attempts to torpedo 8,237 ton freighter Cardita, but misses. There are still plenty of targets on the horizon for U-96 as the day ends. U-65 (Kptlt. Hans-Gerrit von Stockhausen), on an extended three-month cruise, crosses the Equator. It is the first U-boat to do so. British 208 ton British trawler Robinia hits a British-laid mine in the North Sea. Everybody survives. The Luftwaffe attacks shipping in the Thames Estuary and damages 482 ton British freighter Saxon Queen and 1130 ton Swedish freighter Tor..
British battleship King George V, the first of a new class of battleships, finishes her sea trials and joins the Home Fleet at Scapa Flow. The days of the battleship may be waning, but the King George V is a handy ship to add to the fleet. However, while it won't be discovered for a while, there are issues with her main guns that still require attention. Convoy OB 257 departs from Liverpool, Convoy FN 357 departs from Southend, Convoy FS 359 departs from Methil, Convoy BS 10A departs from Port Sudan. U-147 (Kapitänleutnant Reinhard Hardegen) commissioned. Destroyer HMAS Napier commissioned. It heads to Scapa Flow for trials. "Image: a view of the Royal Navy battleship HMS King George V at sea, with a destroyer also visible on the water." December 1940. War Artists Advisory Committee commission artist Muirhead Bone. © IWM (Art.IWM ART LD 1366). But with your help in airplanes, munitions, in ships and on the sea, and in the field of finance now being discussed between your Treasury and ours, we are sure of victory. He further warns that the British Isles and other island chains such as the Azores are essential to the US strategic defense because, if they are lost, "your power to strike back at an enemy disappears because you have no bases from which to do so." 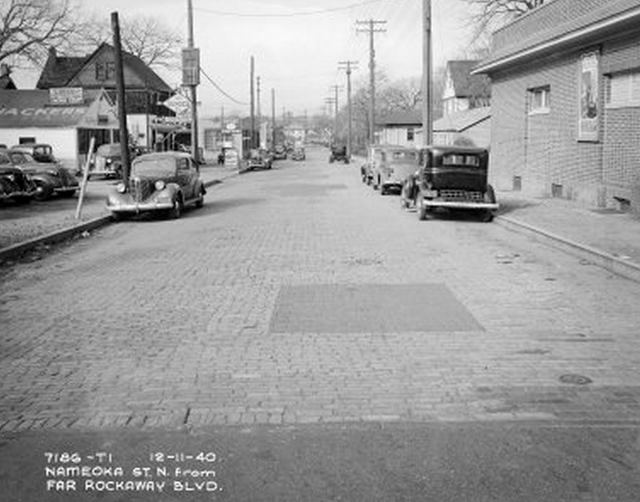 Typical street scene, Nameoke Street, Far Rockaway Boulevard, New York City. The street still has cobblestone, which was quite common in New York around this time, but most of it since has been paved over. December 11, 1940 (Baumwoll Archives, New York Public Library). British Military: Air Marshal A. W. Tedder is appointed Deputy to Air Officer Commander-In-Chief, Middle East. He replaces Air Vice-Marshal O.T. Boyd, captured on Sicily recently after his plane made a forced landing there on a trip to Malta. Romania: Romania agrees to export three million tons of oil to Germany during 1941. That would be double what it has exported in 1940, but the Wehrmacht war machine is exceedingly thirsty. Romania is virtually Germany's only oil source, and this fact informs many of Hitler's strategic decisions. Future History: Donna Jean Miller is born in Chicago, Illinois. Donna graduates early from high school and goes off to the University of Illinois at Urbana-Champaign, but the dancing bug bites and she leaves school to perform in summer stock productions. Her big break comes when she lands a spot in a touring production of My Fair Lady, which brings her to New York. Adopting the stage name of Donna Mills, she gets another big break by landing a six-month role on ABC-TV soap opera The Secret Storm in 1966, then appears the following year in "The Incident" with Martin Sheen (born 3 August 1940), Beau Bridges and Ed McMahon. More soap and stage work follows, followed by guest appearance son numerous '70s television shows. Donna Mills comes to national attention when she is cast as Abby Cunningham, a prime-time soap that runs throughout the '80s. Donna remains active in soap operas and occasional film work, winning Outstanding Special Guest Performer in a Drama Series for her performance in General Hospital, in a three-way tie with Fred Willard and Ray Wise in 2015. M/S Rhein WWII Wreck from Anton Kozhevnikov on Vimeo.